When was the last time you learned something new? Was it when you started a new job? Read a book? Attended a seminar? Did you ever think about learning at a family reunion? I’ll admit that I can slip into a “been there, done that” mentality when it comes to family gatherings. After all, I HAVE known these people my entire life. But when the Tindle family gathered last month for our bi-annual reunion, I noticed how much learning was going on. We learned that if World War II hadn’t ended when it did, Mom would have likely become a nurse. Observation #3: Family reunions are where we can learn from each other. So why does this matter? Well the church is a family. And we have regular reunions, or gatherings. And while it might be easy to slip into the “been there, done that” mentality, the truth is there is much to learn. Sometimes in unexpected ways. Sometimes from unexpected people (I’m certainly not the only one who can speak truth into your life). And sometimes, you may actually be the courier of helpful, even life-changing information. We might need to learn from you. So the next time you think about joining us at a weekend worship gathering, I encourage you to think about learning. From unexpected people. In unexpected ways. Maybe even from you! It’s what families do when they gather together. REMINDER: This weekend is the last time to bring your donations for the Backpack Giveaway. Our goal is 500 backpacks for 500 kids to get a great start on the year, and possibly the rest of their LIFE! For a complete list of supplies, click here. Or you can make a donation ($20 will cover the cost of one filled backpack) at the kiosk, online, or by check. 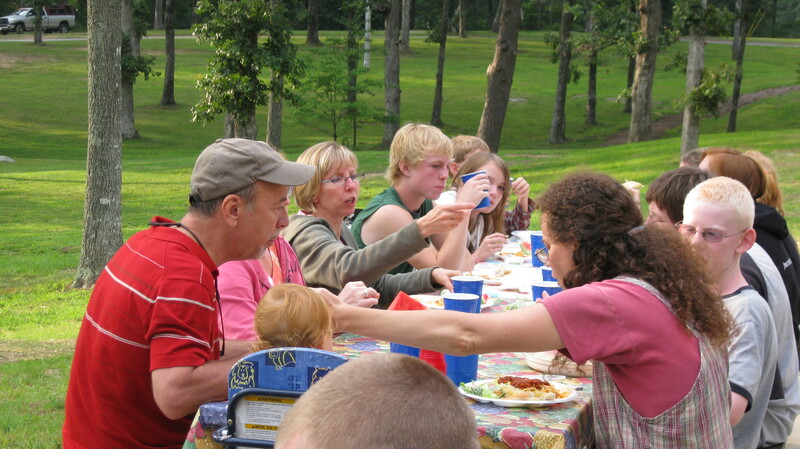 Observation #1: Family reunions remind us of what we have in common. Observation #2: Family reunions are where ordinary people can accomplish extraordinary things when they work together. Posted on August 8, 2013, in Uncategorized. Bookmark the permalink. Leave a comment.